The Year of Mercy ends next Sunday, on the feast of Christ the King, when the Holy Father will close the Holy Door in St Peter's Basilica. Bishop William Kenney, C.P. will close our own Holy Door on Saturday 19th November, at the end of the Confirmation Mass, which begins at 11 o'clock. 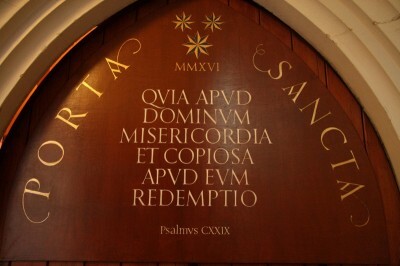 This means that the final procession through the Holy Door will be at the end of the 10 o'clock Mass on Saturday.